She knows the game? Yes! She knows the game. The picture speaks for itself. Kassie is a sports fanatic. I love attending games. I love watching games. I love keeping up with stats. I love debating sports. I love seeing records being set and records being broken. 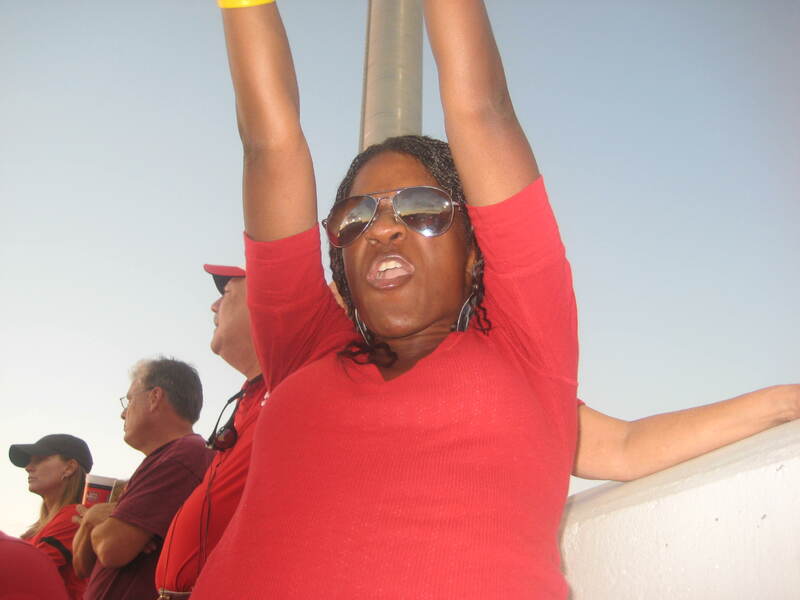 I love cheering my team on to victory. I am addicted to ESPN. I even have an ESPN banner hanging in my living room. I love everything about sports. Well, almost everything. I can do without the lying, cheating and deception but hey that is the world we live in. For years, I have gotten compliments on my vast knowledge of sports. Just a few of weeks ago a schoolmate of mine, Larry, said to me, ” girl you need to get a job covering/writing for some sort of sports network or paper. I think it’s your calling to bring the facts while at the same time getting under the skin of the opposition! It’s what you’re great at!” I’ve heard that plenty of times before but for some reason, on that particular day the wheels started churning. And churning. And churning. Until a solution was churned out….this blog :-}. 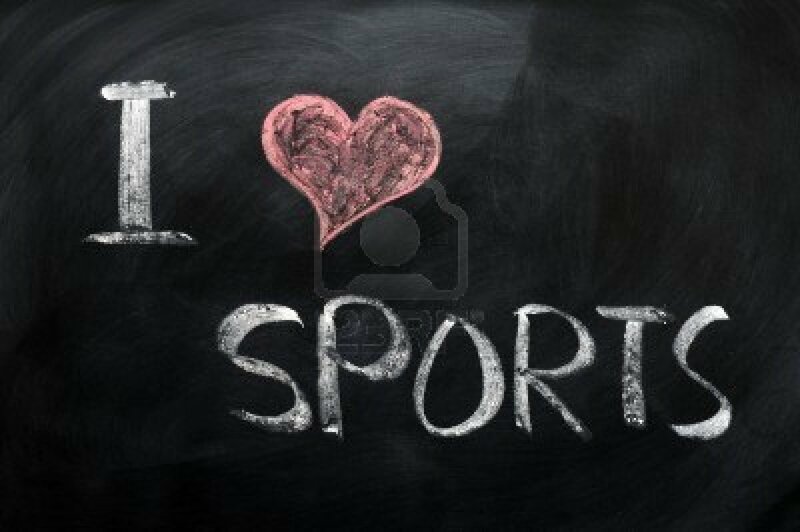 My love and knowledge of sports classifies me as rare. It is not often you will find a lady that wears 5.5 inch heels who can name all the members of the Dream Team, knows all the words to the Chicago Bears Fight Song, Bear Down, can quote famous rants by Allen Iverson, Jim Mora, Dennis Green & Herm Edwards or can get into a car and show you how Dale Earnhardt, Sr. celebrated his one and only Dayotona 500 win. Don’t worry Ma, I have never done that ;-}. I have dreams of sitting at the debate desk on ESPN’s First Take. I have dreams of providing coverage of the SuperBowl from the sideline. I have dreams of being in Rio in 2016 for the Olympics as not only a fan but a commentator. I want to sit down one day and have a talk with Jerry Rice. I want to meet Josh Hamilton one day and tell him how much he inspires me. I want to play catch one day with Peyton Manning. I want to have some kool stories to tell my future children so they can tell all their friends and I’ll be deemed the “Kool Mama.” Today is the day I begin turning those dreams into reality. As the years have passed by, I have come to the realization that my love for sports is part of who I am. Always have. Always will be. The fact that I am a woman, just helps me stand out in the crowd. Way to go, Niece!! It’s your time!! Much, much love! Excellent!!! I love this! It’s about time you put your love of sports to good use! I’m one proud mama! Thanks Mumphrey!! Your love and support are unmatched! Love you!! Thank you Auntie!! We’re going to be in the skybox at the Superbowl soon. Love ya! I been meaning to comment since you started. Today I complete my task.